Good weather days are precious commodities in NYC -- a rare delight that even more rarely falls on a leisurely day off. 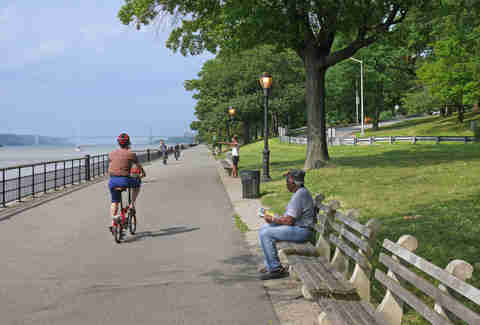 When they happen, New Yorkers are quick to drop everything, head out, and dine outdoors. And while sitting al fresco at your favorite brunch spot always satisfies, the best way to spend a nice day is to grab a blanket and a basket of your favorite handy meals and finger foods and stake a claim to your own tiny bit of the city’s green space. And now, those days are finally upon us. 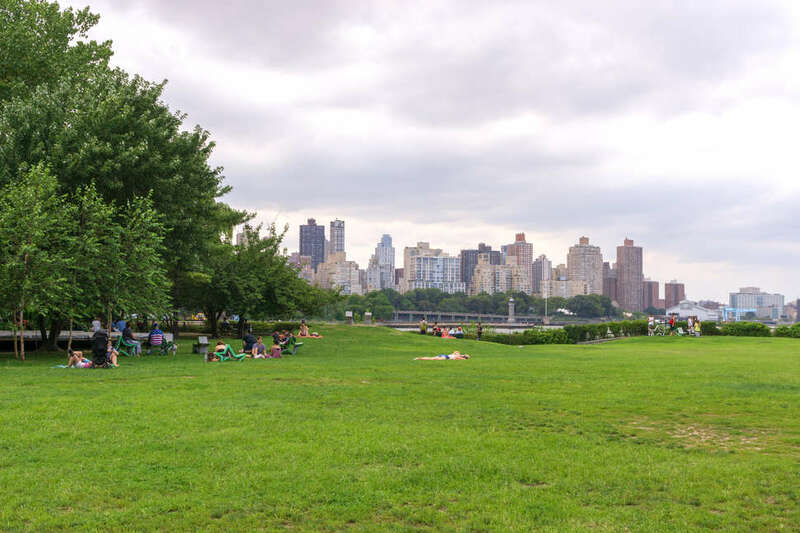 Here is everything you need to know before you go to NYC’s best picnic spots, where to pick up provisions nearby, and what to do when you get there. If lazy Sundays are regularly on your radar, you’ll want to add this option to the lineup: the Riverdale Y hosts a weekly Sunday Market, where you can stock up on farm fresh goodies (and might even find a handmade blanket) before heading to the park. Though it’s just over 10 acres, Seton Park feels like it’s sprawling; it’s wide and flat enough to feel like a meadow, but also woodsy enough to feel like a forest. 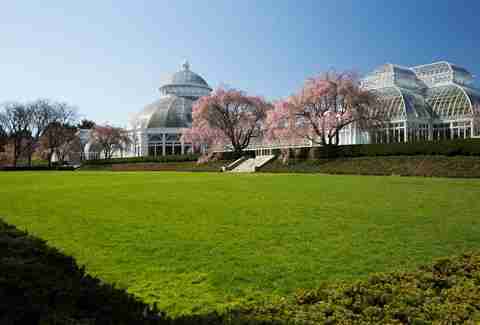 The best way to make a day of a trip to the slightly spendy NYBG is to come prepared. Plan your visit for a Wednesday, when admission to the garden grounds is free (although certain sections of the garden still require a fee), pack a lunch (keep in mind you can only picnic in the lush, green designated pavilion -- also the only space on the grounds where you’re encouraged to walk/lay/play in the grass), stroll through the azalea garden, lilac collection, and tree peonies, and voila: you’ve just set yourself up for one of the most luxuriously inexpensive outdoor dining experiences New York City has to offer. 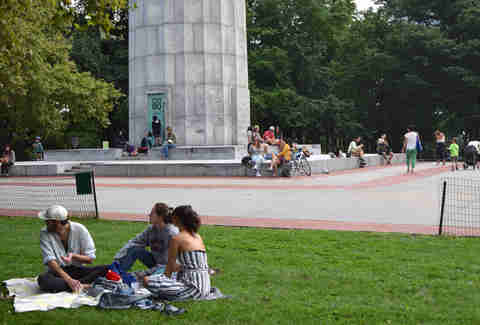 This is your best alternative to Central Park, which fills up fast during prime picnic time. Riverside is narrow and incredibly long, so you can make many returns and have a different experience each time: set up camp between 116th and 124th streets, and you’ll have easy access to the bird sanctuary; further south, off 70th Street, you can wander down Pier 1. Bring an empty basket with you and pile it high with a spread from Zabar’s on your way to the park. Fair warning: this spot is not easily accessible by public transit. But if you’re able to make the multi-leg trek, you’ll be delighted -- Silver Lake’s landscape is gorgeous and the reservoir at the center gives the park some serious oasis vibes. Pick up a couple sandwiches from Marie’s Gourmet and enter through the southern end of the park, work up an appetite with a long walk on one of the park’s many tree-lined trails until you find the lake, then park, bask and eat. Nearly 200 years old and now run by volunteers, the New York Marble Cemetery is only open for a few hours on one weekend day per month from April through October. 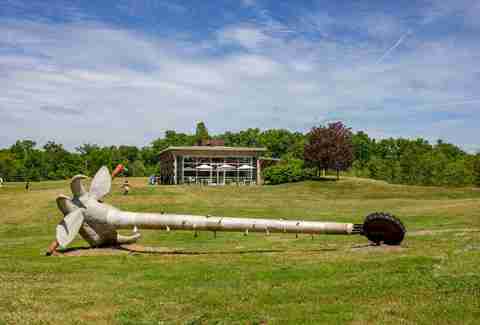 It’s also a bonafide graveyard, but shake off the heebie jeebies, consult your calendar, and plan a visit. The marble graves, wrought iron and stone perimeters, and aromatic, colorful landscaping fulfill the city’s “urban jungle” reputation. 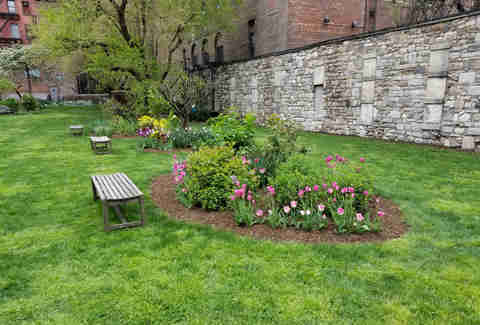 Not only is it breathtaking in beauty and tranquility, it’s the city’s first non-sectarian cemetery open to the public, making this East Village haunt a standing relic of NYC’s longstanding communal and democratic -- yet hidden and hard-to-access -- history. Plus, if you’ve got an extra $350,000 lying around, you could make it your forever home. This NYC landmark is your best bet for a rainy day picnic -- it’s centrally located, and most importantly, fully enclosed. It’s also worth a visit even when the weather is splendid -- flora splashed on an urban background creates a green oasis enveloped by skyscrapers on every side. Grab all the rations you need at Grand Central Market on your way in. A stones throw from the Prince’s Bay SIR station, you’ll find one of the city’s most diverse outdoor landscapes at Wolfe’s Pond. Here you can visit the beach, hiking trails and a wildlife preserve all in one visit. Hit up Domenico’s for a hero before you enter the park’s grounds, and enjoy your lunch while you do a little bird watching. Once you’ve had your fill, wander through the wooded wetlands and trek the trails before heading home. Best part: much of Wolfe’s Pond is dog-friendly, so bring your pooch. There’s something just dreamy about Fort Greene Park. It lives on a hill (part of the reason it once housed an actual fort) that overlooks a tree-lined neighborhood of cozy brownstones Victorian mansions on one side, and the bustling energy of downtown Brooklyn on the other. It feels secluded, but retains metropolitan benefits -- you have lots of options for picnic bites. Peck’s is best for its thoughtfully curated appetizing selections. Watching the blue sky give way to a burnt orange sunset from the rolling hills of Owl’s Head will make you appreciate the grandeur of New York City like you never have before. The combination of the harbor and skyline views and the serene surroundings can put even the most jaded among us at ease. Plus, the Narrows Botanical Gardens, where you can catch a weekly movie night during the summer, is just a couple skips away. Pier 69 is your best option for grub between the park and garden. 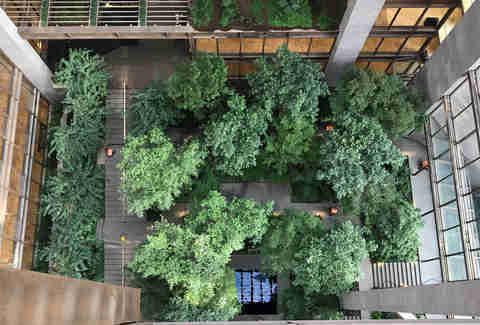 What began in the 1980s as an endeavor to reclaim a degraded public space for local artists has since become one of NYC’s most welcomed outdoor landscapes, as much an art museum as it is a park. New exhibits are rotated in every few months, and it’s open every single day of the year. Take the N train to Broadway and stop at Omonia Cafe for a wrap or pastry to enjoy while you admire the city skyline. What was once an industrial eyesore opened as six acre Elmhurst Park in 2011. It’s now a particularly family-oriented picnic venue: there are several, state-of-the-art playgrounds onsite, in addition to over 600 trees and grassy lawns. And because it’s so new, it feels really clean (even/especially the bathroom). Pack a lunch for a day at Elmhurst, since the closest picnic-worthy provisions nearby come from Patacon Pisao, which is delicious, but a good 15 minute walk from the park. Victoria Marin is a Thrillist contributor.